As its title suggests, Mrs Biggs tells Charmian’s story in a TV drama for the first time. It also happens to be one of the best things I’ve seen in recent years. My interview with Danny is here. 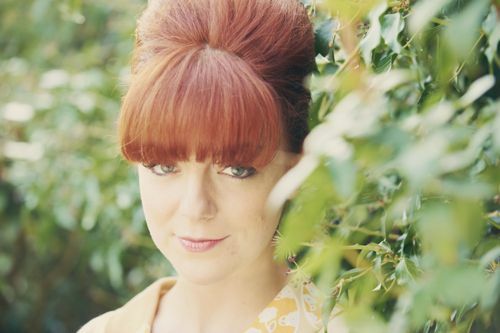 Sheridan Smith shed plenty of tears when she played the role of Charmian Biggs. “I remember bawling my eyes out just reading the script before I even auditioned. It’s such a moving story,” she says. 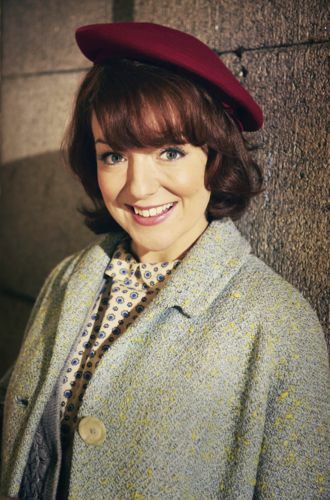 “I’d heard about Ronnie Biggs and I thought Charmian would be a gangster’s moll type character. Then I read the script and realised she wasn’t. I was fascinated by how Charmian and Ron were world’s apart and met – ironically – on a train and fell madly in love. Sheridan was working on another job when she went for the audition. “I was still really blonde but a lovely make-up lady on this other job gave me a little mini beehive hairstyle to give the illusion of, ‘Look, I can do period,’” she laughs. 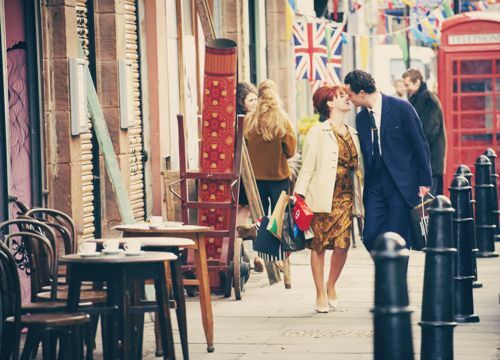 Daniel Mays plays Ronnie in the drama. They bonded over early filming in and around Manchester including scenes where police are chasing them after Ron and an accomplice have committed a crime. “Danny and I had to lie flat in a freezing cold stream. They filmed it and said, ‘OK, great, let’s get you out…oh, can we just keep you there for a minute to do some stills.’ We’d just started to get up and the water took us under and we almost went downstream. Danny was hanging on to the side and I was nearly under the water. All just to get a quick still shot. It was very funny,” she laughs. 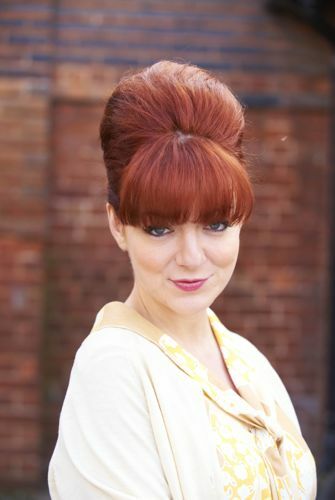 Sheridan plays Charmian from an impressionable teenage girl to a mother in her thirties. “It’s a huge age jump over the five episodes but it was really clever how they aged both Danny and I. The hair, make up and costume also helps you get into the feel of each period. Lesley Brennan was my brilliant make up artist. She did so many different looks for me. From aged 18 when I had this little short hairstyle to then a big beehive and big back-combed hair later on in the Seventies. “That was the fun of it because it went from Fifties’ outfits to all the Sixties’ and then into the Seventies. You feel so completely different to yourself and hold yourself differently. I loved wearing the dresses and the hairstyles and make up. It all made me feel much more like Charmian. Sheridan felt an extra responsibility playing a real person who is still alive. Charmian acted as a consultant to the production. “Charmian was next to me at the script read through in London before we started filming. I was so aware that she was sitting next to me and how surreal it must have been for her to hear these actors saying lines that were her life. Sheridan Smith as Charmian and Adrian Scarborough as her father Bernard. Charmian was a teenager on her way to work in London when she met Ron on that train in October 1957. Ron’s involvement in the Great Train Robbery was to change her life forever. “A lot of people will probably think she knew about the robbery. But she had no idea and then had to make a decision. Charmian wanted her children to have a father, so she went on the run with him. “Of course Ron was involved but most people don’t really know the details of what happened. I think this series will explain a lot of things. Sheridan stresses that this is Charmian’s story, being told in a drama for the first time. “It is called Mrs Biggs. Her husband committed a crime and was on the run from the law. But she’d made her vows to him and was incredibly loyal. It may be partly because she’s of that certain generation. But also because of her love for him and the fact she wanted their children to have a father. “My interest is in the fact that Charmian is an amazing lady and when I read her story I wanted to tell it and was honoured to be asked to do it. I hope that people will understand more about Charmian’s side of things. The first part of the series was filmed in the UK before production switched to Australia. “It gave you a feeling of how they must have felt all those years ago. You’re in this strange country where you don’t know a soul. It must have been scary for Charmian when she arrived on her own with the children. Adds Sheridan: “Charmian made Ron want to be a better person. When they got to Australia he got regular jobs and worked hard. For all his faults he had many good points as well. That’s the reason she loved him. She saw the good in him and how, because of his upbringing, he had got into the wrong crowd. Sheridan and Danny visited Charmian’s home during filming where she showed them her personal archives. Charmian and Ron’s eldest son Nicky, aged 10, was killed in a car accident in Australia. Sheridan found those scenes particularly emotional to play. Ron was by this time living in Brazil, having been forced to leave Charmian and his children behind in Australia to evade arrest. In 1974 Charmian visited her husband in Rio where she learned he had a young girlfriend who was pregnant with his child. Both Sheridan and Danny found these later scenes especially challenging. Looking back, Sheridan concludes: “I’ll never forget the day I first read the script. It was a really special job to work on plus the fact that we all went away to Australia together and became like a family. “Charmian has a great outlook on it all today. She’s a very positive lady. You see her growing from this young girl to an incredibly strong woman. It’s a very empowering story. “They were so much happier when they had no money at the beginning of their relationship when they were struggling and also when they first got to Australia. The money didn’t make them happy. Sheridan’s credits include The Scapegoat, Jonathan Creek, Gavin & Stacey and Two Pints of Lager And A Packet Of Crisps. She’s also won Olivier Awards for her West End stage roles in Legally Blonde and Flare Path. Sheridan plays the title role in Hedda Gabler at London’s Old Vic Theatre from September and in the autumn of 2013 is due to play Titania, co-starring with David Walliams in a West End production of A Midsummer Night’s Dream. 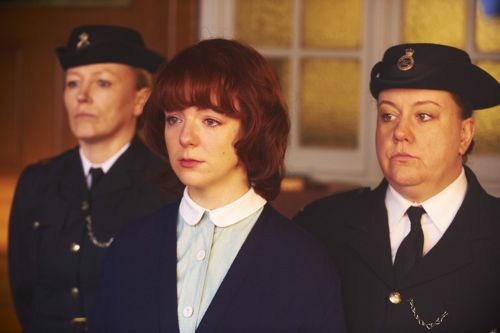 Posted in News and tagged Charmian Biggs, Daniel Mays, Danny Mays, ITV Drama, Jeff Pope, Mrs Biggs, Ronnie Biggs, Sheridan Smith, The Great Train Robbery. Bookmark the permalink.